Envisioning the world as we would like it to be. Imagine a city that tracks driver behaviors — watching them speed up too quickly, brake hard, turn sharply — not to hand out fines but in an effort to make its streets safer. 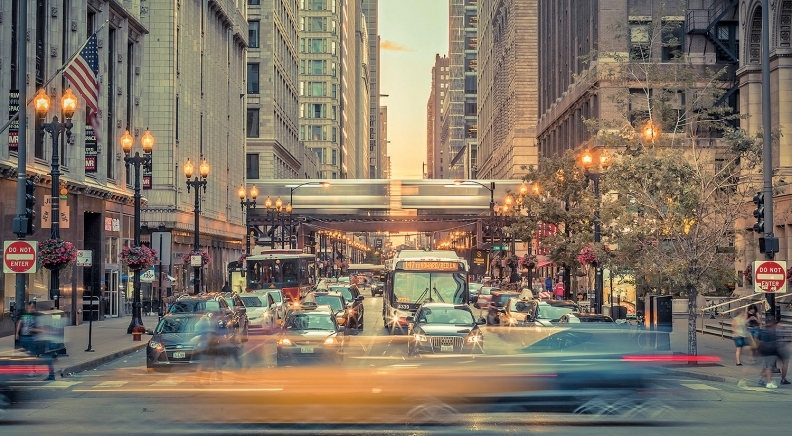 Chicago recently launched its Vision Zero Action Plan, a data-driven strategy aimed to eliminate Chicago's traffic deaths and serious injuries by 2026. Last month, the city took its initiative a step further by officially partnering with Arity, a connected-car technology company founded by Allstate Corp. in 2016. Each month, Arity collects 1 billion miles of driving data from more than 1 million mobile phone and in-car devices. The company analyzes that data to identify behavioral patterns that lead to traffic accidents. The Chicago Department of Transportation has been working with Arity, without a formal partnership, for about a year. With Arity's data and technology, CDOT will gain insights to understand the risk of specific streets and intersections across the city and determine where infrastructure adjustments should be made to improve traffic safety. Chicago already has data on basic crash reporting, but Arity's front-row seat of the driver experience "provided another layer to augment what we can know about fatalities on the streets of Chicago. They are a company who is built around understanding behavior and risk," said Kevin O'Malley, managing deputy commissioner of CDOT. Through mobile apps, devices that plug into a vehicle's onboard diagnostics port, or software embedded in the vehicle, Arity collects driving behavior data, such as when, where and how often a driver brakes hard. "Through the sharing of data, we have been able to open the city's aperture to see a higher level of detail about the current state of risk on the roadways in Chicago," said Grady Irey, Arity's senior vice president of data science. In many cases, Irey said, accidents happen because drivers don't pay attention. But the city is learning that some accidents may be avoided by changes in the infrastructure. With combined data, Arity and CDOT can determine which areas are more dangerous than others. "If it's happening repetitively in one location by a lot of drivers, maybe it's something in the built environment — a street segment or intersection or interchange or something along those lines," said O'Malley. For example, traffic around a construction project could cause a risk, he said. In that case, the city would likely consider rerouting traffic. Although Chicago already has an abundance of data, the city doesn't get good insights into driver behavior through its data, O'Malley said. "We don't know about these things because we don't have the eyes on the street like what Arity may have," he said.